Thomas B. Riedmiller, 77, of South Scranton, died Friday at Hospice of the Sacred Heart. His wife of 52 years is the former Mary Ann Hopkins. Born in Scranton, son of the late George and Catherine Birtel Riedmiller, he was a member of St. John Neumann Parish at Nativity of Our Lord Church. A graduate of Scranton Technical High School, he was a veteran of the United States Navy having served in the Vietnam War. Tom retired from the United States Army Reserve as a sergeant first class and was a member of the Marine Corps League. He is also survived by his five children, Thomas B. Riedmiller Jr., Willow Grove, Texas; Christine Holko and husband, Andrew, Beaver, Pa.; Jeffrey Riedmiller and wife, Kathryn, Mesa, Ariz.; Tara Egnotovich and fiancé, James Smith, Scranton; and Jason Riedmiller, Scranton; six grandchildren, Matthew and Catie Callen, Taryn, Amanda and Thomas Egnotovich, and Kros Fetters; two great-grandchildren, Gionni and Kai; a brother, George Riedmiller and wife, Margaret, Scranton; several nieces and nephews. He was also preceded in death by a sister, Katherine Riedmiller O'Malley. Family and friends may call Friday from 9:15 to 10:15 a.m. at the church. The Marine Corps League will conduct a service at 10:15. 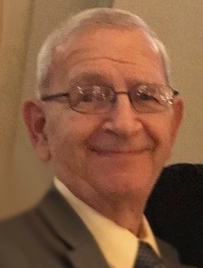 The funeral will be Friday with Mass of Christian Burial at 10:30 a.m. in St. John Neumann Parish at Nativity of Our Lord Church, 633 Orchard St., celebrated by the Rev. Michael Bryant, pastor. Interment will follow at Fairview Memorial Park, Elmhurst, with military honors provided by AMVETS of Greater Pittston. In lieu of flowers, memorial contributions may be made to Hospice of the Sacred Heart, 600 Baltimore Drive #7, Wilkes-Barre, PA 18702, or at hospicesacredheart.org. Arrangements, Neil W. Regan Funeral Home Inc., 1900 Pittston Ave., Scranton. To send online condolences, visit the funeral home website.